Advanced Logic is the first Italian System Integrator officially accredited by M2E Pro. M2E Pro is the exclusive Multi-channel sales solution that allows e-tailers operating with one or more online stores to publish sale announcements on eBay and Amazon directly from the Magento back-end. To those who sell online using Magento, M2E Pro offers then a unique possibility to quickly connect their eCommerce to eBay and Amazon, resulting in increased business opportunities. Through a fully automated synchronization process warehouse and orders are always aligned between Magento and the marketplaces in which you operate, with the benefit that the Merchant does not have to worry about managing these aspects manually. In M2E Pro no information is stored outside of Magento, so that the online Merchant keeps control over its data without giving away their management to third parties. Being M2E Pro developed specially for Magento, the system is able to exploit the full potential of the Platform without, at the same time, having any impact on the performances of the Site. Together with Magento, M2E Pro offers Merchant also an unique instrument for increasing the volume of sales in geographical markets other than the local one. 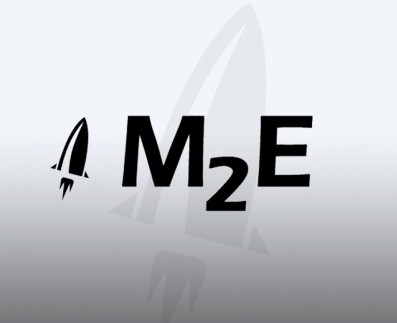 M2E Pro is a connector built specifically for Magento and, as such, offers a level of integration with the Platform that has no equal in the world. Discover the M2E Pro solution and start enabling your Magento site for an effective Multi-channel strategy!